Outlandish Observations: What do you think about Frank? What do you think about Frank? That's a question that comes up frequently in any discussion of the OUTLANDER books, and I think it's worth re-examining, in view of how Frank Randall is portrayed in the TV series. I'm going to talk about events in the later books. If you haven't read all eight of the OUTLANDER books, plus Diana Gabaldon's novella, "A Leaf on the Wind of All Hallows", there may be spoilers below. Read at your own risk! In many ways, Frank in the TV series is a more sympathetic character than he appears in the books. I think there's no doubt, watching Claire and Frank together in Episode 101 ("Sassenach") and in the brief flashbacks in later episodes, that they loved each other very much. And Episode 108 ("Both Sides Now") makes it abundantly clear that Frank is devastated by Claire's disappearance, and willing to do whatever it takes to find her again. But the much more intriguing question, for many fans, is what happened after that, especially in the years following Claire's return to the 20th century. Did Frank have relationships with other women? Probably. There's no doubt that Frank loved Bree unconditionally and with his whole heart. I give him a lot of credit for that. "I've decided to go back to England permanently. I've a good position offered at Cambridge, and I mean to take it up. You won't leave the hospital, of course. But I don't mean to leave my daughter behind." "Your daughter?" I felt momentarily incapable of speech. So he had a new job all set, and a new mistress to go along. He'd been planning this for some time, then. A whole new life--but not with Brianna. "My daughter," he said calmly. "You can come to visit whenever you like, of course..."
Frank made sure Brianna learned how to fire a gun and ride a horse. Did he somehow know that she was going to travel back in time some day? Did he find evidence of Bree's existence in the 18th century? "Maybe he found me," she said softly. Her throat felt tight. "Maybe he knew I'd go back, through the stones. But if he did--he didn't tell me." [Roger] stopped walking, and put a hand on her arm to turn her toward him. "And perhaps he didn't know that at all," he said firmly. "He may only have thought ye might try it, if you ever found out about Fraser. And if you did find out, and did go...then he wanted you to be safe. I'd say no matter what he knew, that's what he wanted; you to be safe." Frank had a fake gravestone with Jamie's name on it put up in the cemetery at St. Kilda's, hoping that Claire or Bree would find it some day. Why would he do that? And we shouldn't forget about Frank's involvement in MI6 during World War II. What about the very intriguing letter from Frank to Bree, in WRITTEN IN MY OWN HEART'S BLOOD, about the Fraser Prophecy? With his background in intelligence, what else might he have discovered? I paused, looking up into his face, searching it for doubt. I saw none there, but something else; a waiting, a deep curiosity as to what I might say. “It was a long time ago,” I said softly. I held up my hand in answer and he slid the gold ring on my finger, the metal warm from his body. From F. to C. with love. Always. My personal opinion (and you're certainly free to disagree!) is that Frank is neither a villain nor a saint. Like all the major characters in Diana's books, he's a complex and multifaceted character, flawed and fallible and very human. "Most of them -- of us -- we're we’re just...there, and we do our best. Most of the time," he added, and the corner of his mouth lifted slightly, though she couldn't tell whether it was in humour or bitterness. I think Frank got thrown into an impossible situation after Claire came back, and in my opinion he did the best he could -- most of the time -- to cope with it. What about the rest of you? 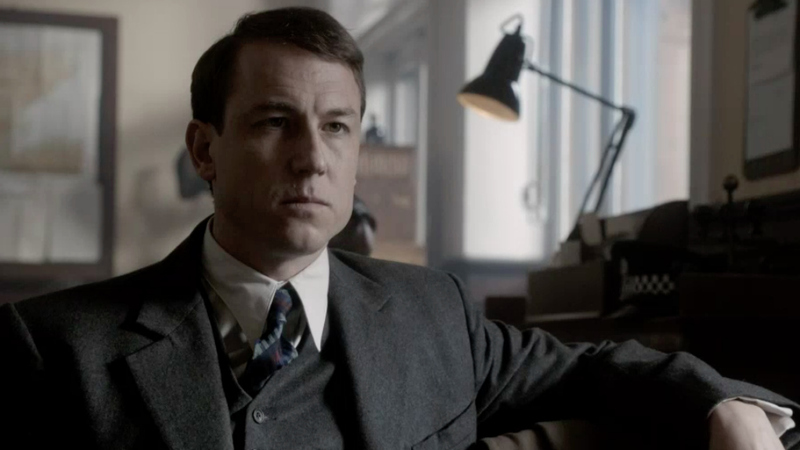 Do you consider yourself a "Friend of Frank" (FoF), or do you think Claire was a fool for staying with him all those years? Feel free to post a comment here or on my Facebook page. I agree with you---neither a sinner nor saint, just a man caught in circumstances beyond his control. I think he DID have affairs because he needed what Claire could no longer give him---the feeling that he mattered more than anyone else, to someone. I think you've hit on the reason why Frank is so enigmatic - he's truly, utterly, and completely HUMAN. We also never see him on his own merits (or faults), always out of the corners of our eyes or through other characters' perceptions of him, so it's Very Difficult to get a clear, true picture of who he is. Those glimpses, however, in the letters and 'All Hallows', they're just so incredibly intriguing that since reading that (and MOBY), I've changed my feelings toward him in recent months. It's been a whirlwind of emotion, though! Part of my unease comes from the fact that, in my younger dating years, I had two boyfriends cheat on me and I took them back anyway, so I have a very low tolerance for any perception of infidelity in a man - it's my projection of this discomfort to see Claire with Frank, but, again, we do only get Claire's perception. To be more fair to Frank, I recently noticed in Voyager that even Claire admits she never really let Frank back into her heart when she returned and (enter speculation) part of her, I think, is a bit sorry for that. I'm willing to accept that that was the depression talking, because Depression does Talk and it often says Hurtful Things, many of which are Completely Untrue. And, well, as much as she may have loved Frank, her love for Jamie was/is a Very Different kind of thing. An all-consuming Passion, versus a relatively Ordinary kind of thing. Lots to think about here, though, and I'm happy to revise my opinion of Frank Randall again if we ever learn anything more about him!! I agree that he is neither saint nor sinner. Diana is very good at humanizing her characters. He just has the type personality I would not be attracted to. "Frank had a fake gravestone with Jamie's name on it put up in the cemetery at St. Kilda's, hoping that Claire or Bree would find it some day. Why would he do that?" I've often wondered how Frank knew where to put the stone. Sometimes I like Frank, sometimes I don't! I have suspected that Claire's feelings for Frank in the later books are subconsciously and fatally colored by her memories of Frank's Randall ancestors and the sadistic psychopath Black Jack Randall. All she and Jamie suffered at the hands of Black Jack have to be embedded in her psyche somewhere. The close resemblance in both appearance and actions between Frank and BJR are so strong. Just my thoughts. I think Frank did the best he could. How frustrating it would be to have your wife missing for years. Then come back pregnant and in love with another man. The letter from Frank in Drums Autumn is very telling. He loves Claire & Brianna. I LOVED that letter. It also gave some closure for Jamie as well. I have suspected that Claire's feelings for Frank in the later books are subconsciously and fatally colored by her memories of Frank's Randall ancestors and the sadistic psychopath Black Jack Randall. All she and Jamie suffered at the hands of Black Jack have to be embedded in her psyche somewhere. The close resemblance in appearance and traits are evident. Everytime she looks at Frank she sees Black Jack. Probably a minority view...but I think Frank behaved much better than Claire over the course of their marriage. Granted, it was the '50s and divorce was much less common, but he made it possible for them to start over, made it possible for Claire to become a doctor, and made normal family life possible for Brianna. I've never felt much sympathy for the way Claire apparently handled herself over the second part of her marriage to Frank...can't have been fun for him with three in the bed. A propos of nothing, one of the most touching scenes in the books is Claire's dream of Frank talking about the miniatures Brianna painted...he's the true romantic in the saga. Most of us never know the kind of romantic, all consuming love that Claire and Jaime share. Some men are just not gallant, handsome, wise, etc..., but they are pragmatic. They help with the day to day druggery of life, help bring home a living, support you with your ambitions, help you raise good children, and are just there when you need them. Not in a romanticized way, but in that steady ( you can count on them) way. Frank was like that, and he did it in spite of his wife falling hopelessly in love with another man and bearing that other man's child. He was a good man, caring for another man's child, and trying to have a marriage with someone who didn't love him anymore. She respected him, but she couldn't forget Jaime. I'd say he did admirably in the face of all of that! I think he's just a guy who got put in a very difficult and awkward situation. He loved Claire and was loyal to her, but they clearly had some rifts in their relationship. How could they not, after all? He's pretty interesting, I'd say. He clearly did some research and learned about Jamie Fraser (but didn't tell Claire) surviving Culloden and took some steps to prepare Brianna - just in case - and to lead Claire to discovering Jamie's survival. But of course he died before ever knowing if she'd find him. My general feeling as I read the book was "poor Frank, who would want to be him?" As I am re-reading the series, I see in Outlander after Frank sees Jamie's ghost and tells Claire he would understand if she had been unfaithful. She comments later that she understands that to mean that he probably was unfaithful to her. And later when she confronts him about his mistresses, he says he thought he had been discreet, so no, he was not loyal to Claire. Brianna had found a note addressed to "Darling" in his wallet, and later told Roger that she had seen a marriage of obligation and one of love (meaning her mother's to Frank and Jamie). No, it could not have been easy to have been in Frank's position, but he should have been honest with Claire: he was selfish in his actions to keep Brianna (because he couldn't have a child of his own) and if Frank had really loved Claire, 1,) he wouldn't have had affairs and 2.) he would have wanted what was best for her and Brianna... meaning he should have told Claire what he found out when researching Jamie in history. So, no, I think Frank gave as good as he got. Yes, he's human, but the difference between Frank and Jamie is that Claire could trust Jamie to be honest and loyal. I always felt Frank got the shaft. There was no way he could compete for Claire's heart after she returned to him. And imagine the hurt and agony he must have felt to know she was pregnant by someone else and was still in love with him! I also agree on what someone else touched on here - that Frank provided for Claire and Brianna for many years to the best of his ability. Was he a saint? Absolutely not (The St. Kilda tombstone comes to mind). But given his circumstances, I think Frank deserves some credit. He put on the brave face to be a decent husband and father, knowing that his wife was still in love with another man. I will always love Jamie but I think the TV show has done a great job of seeing Frank's anguish. I think Frank did the best he could. In ways, Jamie was more modern than Frank concerning Claire being a doctor. I am doing a Outlander reread since the start of the series. I am halfway through Voyager, again. I always liked the Jamie of the first two novels, the innocent virgin and moral man, better than Jamie post Voyager. Jamie, post Voyager, lied about his marriage, endangered Ian, was a smuggler and bootlegger. He had many faults. He was not perfect as he matured from the idealistic youth. I have no sympathy for Frank. I want to know when he found out about Jamie, if he knew that Claire and Bree were there as well. I am only on "The Fiery Cross." From what I read so far, Frank was dishonest and unfaithful to Claire. I don't see Claire being unfaithful to either man when she was with him. I am also really enjoying the show and I don't want them to age as quickly as Diana aged them in her books. There can be so much story told from their younger perspectives. We don't need a book a season. I'm not looking for a 50 year marriage, but adventure, history, and love. I'd like the highlander ghost situation solved as well. From the very first, I have felt so much sympathy for Frank. If Claire truly loved him, she would have never felt for Jaime what she did. I suppose that I am as torn as Claire was, though, because while I love Claire and Jaime, Claire and Frank were so much in love, and it is heartbreaking that she left him so easily. I suppose it truly wasn't easy, but she was so resentful of him for not being Jaime, once she returned, that he didn't have a chance. But she was angry at his affairs, after admitting that she didn't give him her whole heart, ever, not once, after she returned. I am definitely a Friend of Frank. He did not get what he deserved. Claire was so much less faithful, and I think Frank deserved much more. Jamie was no saint, and was so jealous and mean to Claire because of her infidelities, or other relationships, despite his own failings, while Frank was the soul of love and forgiveness. You can't help whom you love, but I never saw why she thought Jamie was so much better than Frank. As an African-American, I was a little put off that Frank seemed to be a bit racist, but I still favor him over Jamie. Yes, he's human, but the difference between Frank and Jamie is that Claire could trust Jamie to be honest and loyal. But could Frank trust Claire to be honest and loyal? This is driving me crazy. I've only just finished the second book. It's on my Kindle, so I can't go back and look. But what EXACTLY did the headstone SAY at the beginning of the book? Were there any dates on it? After reading Frank's letter to Brianna in MOBY, it occurred to me that he may have intended to take her to Scotland himself to tell her of her parentage and show her the grave marker he had set in the churchyard at St. Kilda's. He did write "If we're both lucky, I may be able to tell you in person, when you're a little older". Failing that, he was going to send her to Reverend Wakefield via the letter for more information. Perhaps that intention was part of his announcement that he wanted to take Brianna with him to Cambridge- a step closer to this reveal? He certainly went into great detail about the dangers he thought would be lurking both from the government and from unknown sources connected to the Fraser prophecy. I think he wanted to tell her himself to make sure she was well informed and could keep herself safe. Claire certainly didn't fill her in on any of that when she told her about Jamie because the topic was dropped and she and Frank didn't discuss what happened to her after a while... What are your thoughts?